My daughter adores the Harry Potter series- the books and movies. The highlight of the summer is our annual trip to Universal Studios to visit Hogwarts and Hogsmeade. Last year she was Hermoine for Halloween and this year her interest has not waned at all- we are currently reading book #5 and getting ready for trip #2 to Universal Studios. 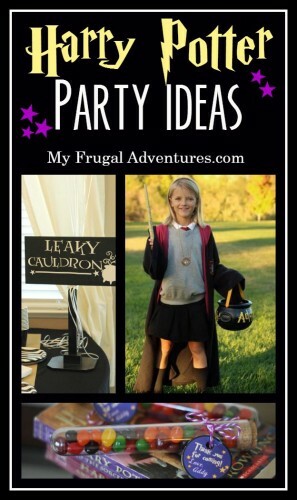 So it was no surprise that she wanted a Harry Potter birthday party. I had a hard time finding a lot of decorations for the theme so I wound up making almost everything myself. I thought I’d share some of the things I made and how our party came together. This wound up being a really fun birthday and my little girl was absolutely delighted. I did almost every thing for the party myself and started about 2 weeks beforehand just doing a little bit here and there. So although this party wasn’t Pinterest perfect- and I didn’t finish a few projects I wanted to do- I was pretty happy with how it turned out. 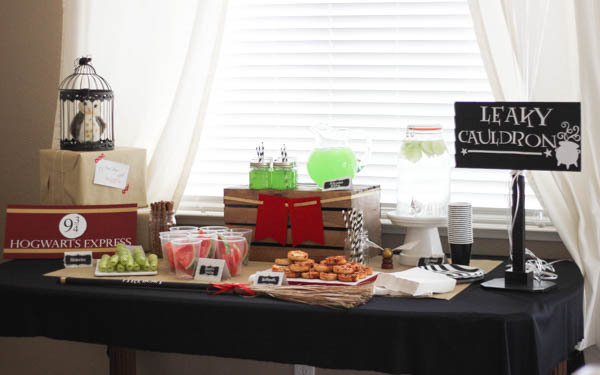 The trick with Harry Potter parties is that sometimes they look a little too black and almost Halloween-y. 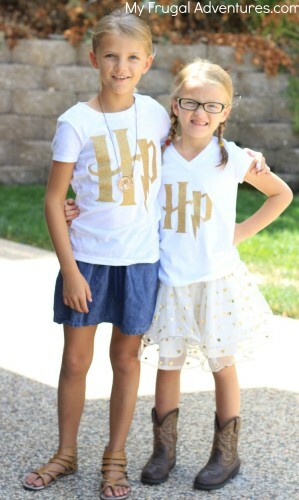 We had our party in August for a bunch of little girls so I tried to stick to the maroon/yellow and black color scheme of Gryffindor and add in as much gold as possible to make it more sparkly and fun. I started by picking up some inexpensive black fabric at Joann’s for a tablecloth. 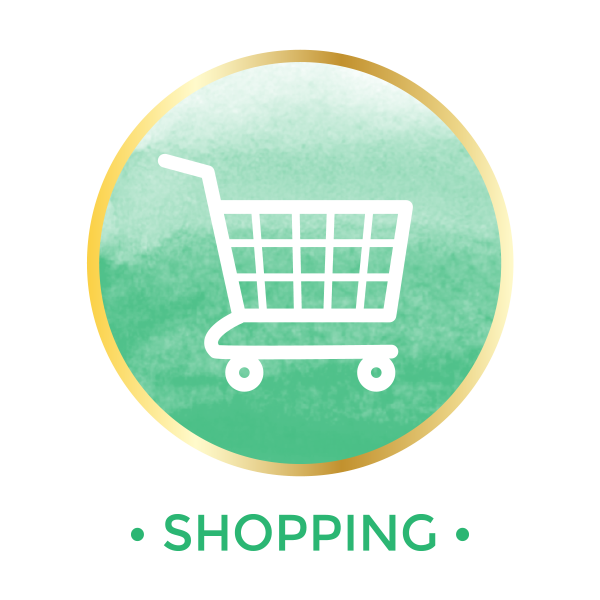 I also picked up some gold glitter wrapping paper at Michael’s and just unrolled the entire thing on the table to add a little more color and brighten up the black. I wrapped some empty boxes in plain brown paper (you can find this at the Dollar Store with postal supplies not wrapping paper) or grab huge rolls at the home improvement store in the paint department. I found some adorable free printable owl post labels from Celeste Frittata. She printed hers directly on the wrap but I printed on white paper and taped it on. My daughter loved this little detail. 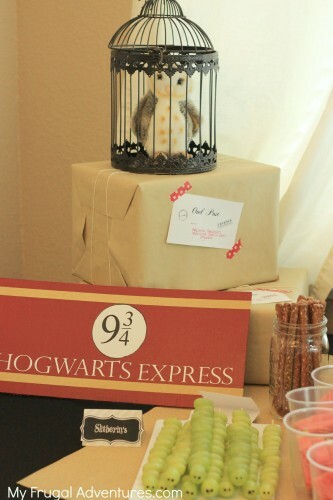 I actually had a white birdcage from my other daughter’s fairy garden birthday party (purchased at Michael’s)- I spray painted that black and then bought a little stuffed owl off Amazon here to serve as Hedwig. For the Hogwarts Express train sign, I just cut down some extra plywood we had in the garage, painted it a rusty red and then I cut the letters and the circle and 9 3/4 on my Silhouette Cameo. 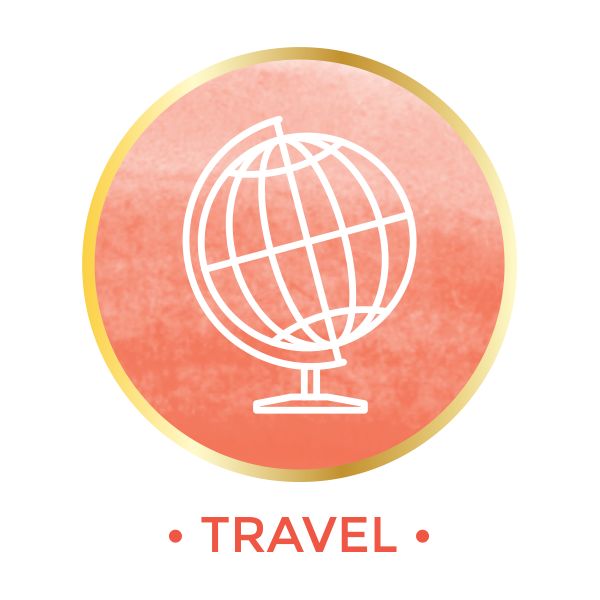 I finished it by adding a strip of gold glitter washi tape to the bottom. If you don’t have a Cameo, you can follow this tutorial to hand paint your sign. I got very lucky to find a cheap, black broom at Michael’s (since our party was in August they already had Halloween decor available). I used my Cameo again to cut the word Firebolt out in white vinyl. 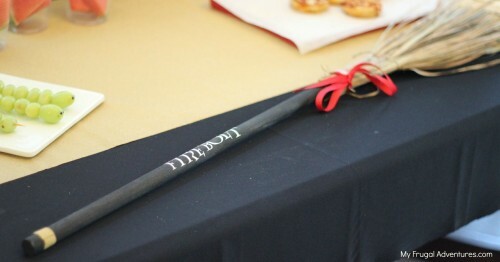 I added a bit of the gold washi on the end of the broom and then tied red ribbon at the top to jazz it up a bit. I planned to hang this on the front of the table but I ran out of time and just plopped it on the front of the table and it was really cute. 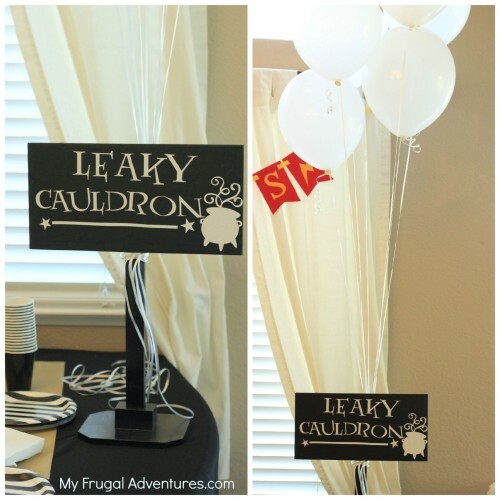 Originally I was going to do a Three Broomsticks sign for the food table but that sign looked a little harder to duplicate so I took the easy way out and went with the Leaky Cauldron 😉 This little sign post was a purchase from Hobby Lobby on 90% clearance ages ago and said something like Dig It. I have repainted over it several times to suit parties (last year it said Aloha in yellow and blue for a luau we hosted). This time I painted it black and used my Cameo to cut out the letters and image. We bought a bunch of white balloons and I was hoping to draw owl faces on the balloons (like this) but I ran out of time. 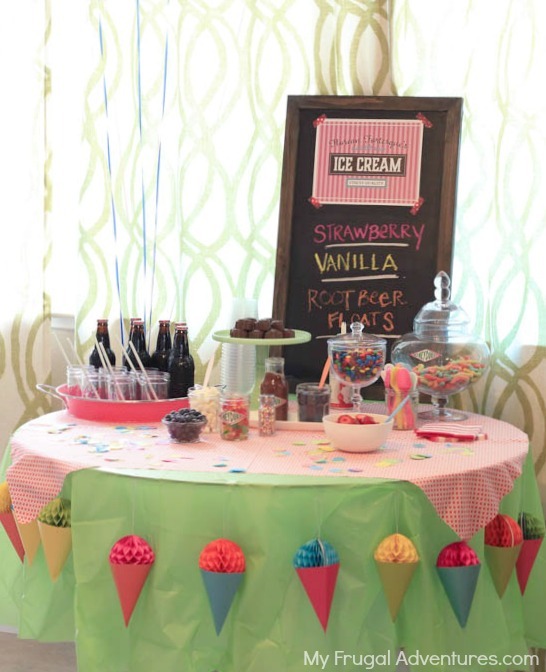 The menu was the hardest part for me, it seems like most parties these days are just giant dessert tables. 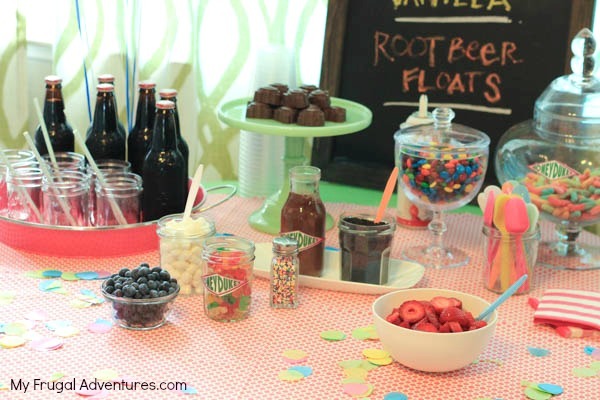 I like to serve real food at parties and just a bit of sweets. For this party a friend suggested making Pizza Puffs and calling them Hufflepuffs. Cute right? So I did make them and well… the recipe did not turn out to be very good so at the last minute I raced to the grocery store and grabbed some mini pizzas and served those as the Hufflepuffs. I made some green grape skewers and used black icing to create a snake face and called those Slytherins. I got green apple Powerade and called that Poly Juice potion and also water with sliced cucumber and called that Gillyweed water. And for the dessert! My favorite part! My daughter actually did not want a cake this year. When we were at Universal Studios we went to the ice cream parlor, Florean Fortescue’s, which is in Hogesmeade so we decided to go with an ice cream buffet for the party. This was so fun and a great option on a hot summer afternoon! I bought vanilla ice cream, made strawberry ice cream and set out several topping choices- chocolate magic shell (recipe here), crock pot caramel sauce (recipe here), crushed oreo cookies, M&Ms, worms, gummy bears, whipped cream, fresh berries, sprinkles, marshmallows- whew! The kids were so delighted with this- oh and I got root beer as well for root beer floats. I intended to call them butter beer floats and then in the rush of putting it all together forgot. Whoopsie. Cream Soda would be another great option for Butter Beer floats as real butter beer is pretty darn sweet. 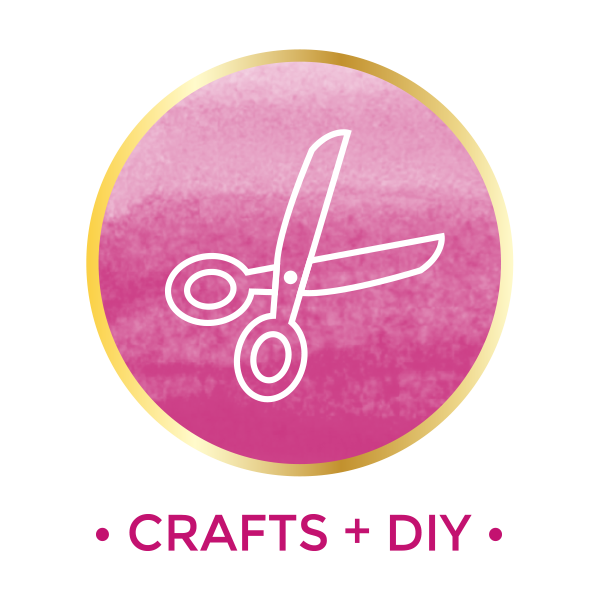 I grabbed some free printable Honeyduke’s logos to tape on the candy jars that I got from the Bakingdom blog. I printed a little Florean Fortescue sign from A Well Feathered Nest and popped that on a chalkboard. 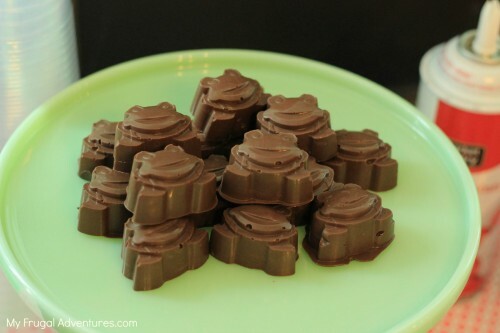 The chocolate frogs I just melted milk chocolate chips in a double boiler and scooped the melted chocolate into these frog molds. 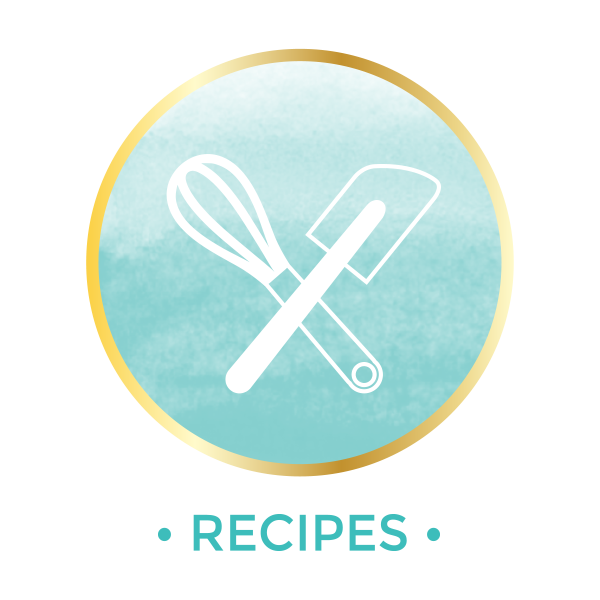 The chocolate hardened in just a few minutes so making these is really fast and simple. 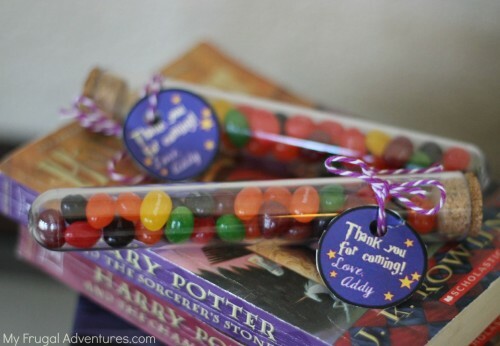 For the party favors, my daughter really wanted Bertie Bott’s Every Flavor beans. The little boxes are on the pricier side so I just picked up some test tubes at the craft store and filled them up with jelly beans. I made a little gift tag in Picmonkey and tied it to the test tube with purple twine. So simple! One last little detail was the front door welcome. 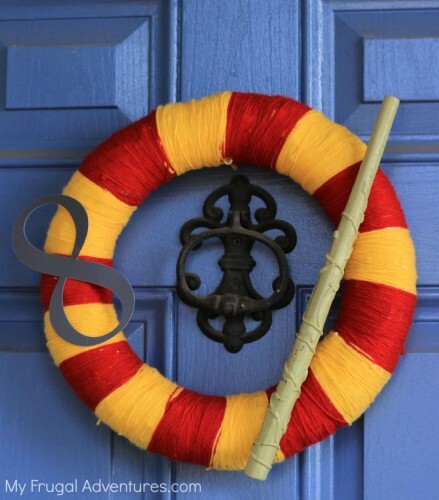 This was seriously the very last second – I wrapped yarn around a wreath (get specifics on how to do this from the post here) and then quickly cut an 8 out with my Cameo and glued my daughter’s wand from Halloween last year right on the wreath. And last but not least, the entertainment. I found so many cute ideas for games and crafts and activities on Pinterest but my little girl really wanted to have a pool party. 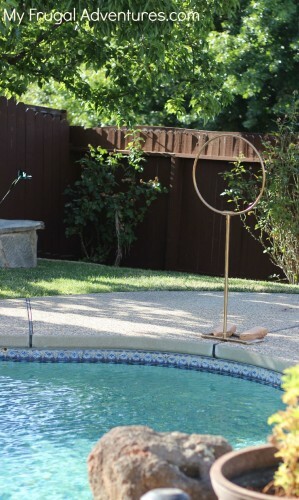 So not exactly fitting with the Harry Potter theme but hey- the most important thing is the kids have fun and they had way more fun in the pool than doing trivia questions and such. Whew! And that is pretty much it. I did make these little shirts for my children to wear during the party- just cheap white t-shirts and a little gold, glitter heat transfer material I cut with a Cameo. Simple and cute. 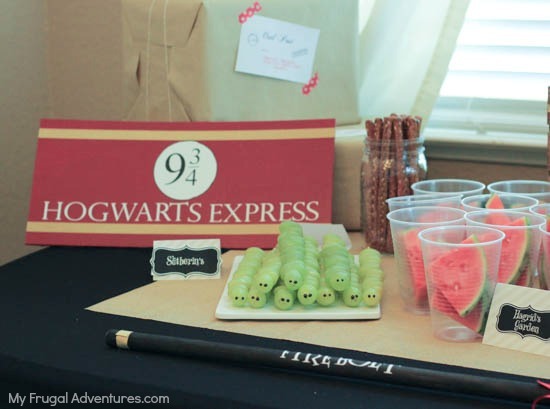 And if you have your own little Harry Potter party, I’d love to hear about the details for your event! My older sister is a big Harry Potter fan. I’m thinking this may be a good idea for her birthday this year.